GENEVA, Switzerland, November 5, 2013/African Press Organization (APO)/ -- IOM Uganda, in coordination with the government and civil society partners, has safely returned 21 child victims of trafficking to their communities of origin. The children had been trafficked from Karamoja, a remote region in remote northeastern Uganda, to Kampala for the purpose of street begging. “My aunty told me: 'There is no money so you must go to Kampala to look for money on the street'. In Kampala big boys beat me, bullied me and snatched my money until the authorities took me to a rehabilitation center,” explained a nine year old trafficked child. Before the return process, the children received various services in Kampala, including medical assistance, nutritional feeding, and shelter. “Counseling is a main component of the assistance that we provide. These children have been forced to work on the streets and have suffered and seen many terrible things,” said Martin Koriang Naburri, an NGO caseworker. IOM and its NGO partners worked in Karamoja to locate the families of the children and determine if it was in the children's best interest to return. Simultaneously, IOM offered training in sustainable agriculture and integrated animal management to the children's families and communities. “By providing livelihood support we are working to ensure that families have the necessary resources to financially support their children. This way we are working towards preventing re-trafficking,” said Bosco Okwonga, IOM's senior caseworker in Karamoja. A mother explained her worry after learning that her son had been trafficked: “My child disappeared in June last year. I was told that my child was in Kampala. I was very worried and I wanted him back,” she said. The children will now undergo a three-week reintegration programme led by an IOM implementing partner in Karamoja before returning to their families and enrolling in school. Since November 2011, IOM has assisted with the rehabilitation of 179 children from Karamoja, who were trafficked to Kampala for labour exploitation. 163 of these children are under the age of 14, and 98 are girls. In addition, IOM Uganda has assisted 30 children under five years old. 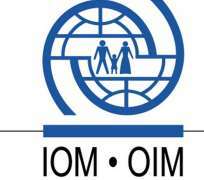 IOM is planning to publish its research into the causes and mechanisms of trafficking of children from Karamoja to urban centres to assist stakeholders to develop evidence-based policies. Return and reintegration assistance to trafficked children is one of the key components of the Coordinated Response to Human Trafficking in Uganda (CRTU) project funded by the Royal Norwegian Embassy in Kampala. IOM Uganda works closely with the Ministry of Gender, Labour and Social Development, as well as the Ministry of Internal Affairs in the provision of direct assistance to trafficking victims.